FAQsWhat are your Lead times? Flashbay's leads times, the time from order to delivery, are the fastest in the world and legendary within the industry. Most of our products are available on a 5 working days lead time for orders between 10 and 10,000 units. Working Days from Order Date Actual Date* What happens on this Day? 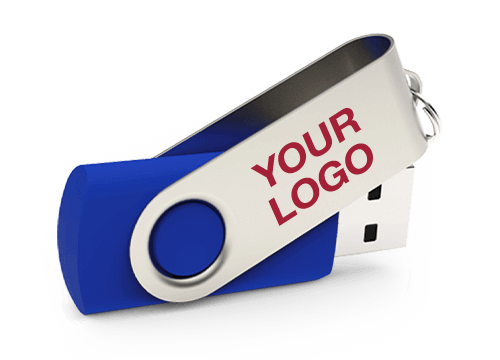 Tuesday, April 23, 2019 You place an order with Flashbay for Twister USB Flash Drive, printed with your company logo and preloaded with your company data for example. Wednesday, April 24, 2019 Sub-components of your order are collated, in preparation for production. Thursday, April 25, 2019 Products are Assembled and Branded with your artwork. Friday, April 26, 2019 Your order is Quality Controlled and Booked in for shipment. Monday, April 29, 2019 Order in transit from Factory. Tuesday, April 30, 2019 Order Delivered with you. If you are considering an order for logo printed products for use on an upcoming event, it is wise to allow a few additional days on your side to request prices, product samples and 'virtual proofs' from Flashbay. Although our track record for timely delivery is world class, occasionally our lead times can be extended due to circumstances outside our control, for example, courier delays due to bad weather. We recommend customers allow a few days extra delivery buffer when your order is mission-critical for an event.